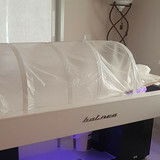 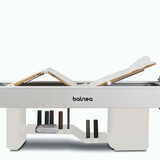 The thermal bed for massages Balnea represents for all the SPAs, wellness and beauty centres, a polyfunctional tool able to offer infinite possibilities of use (steam bath, massage, chromotherapy combined with music therapy) to maximize the earning power of the environment where Balnea is placed. 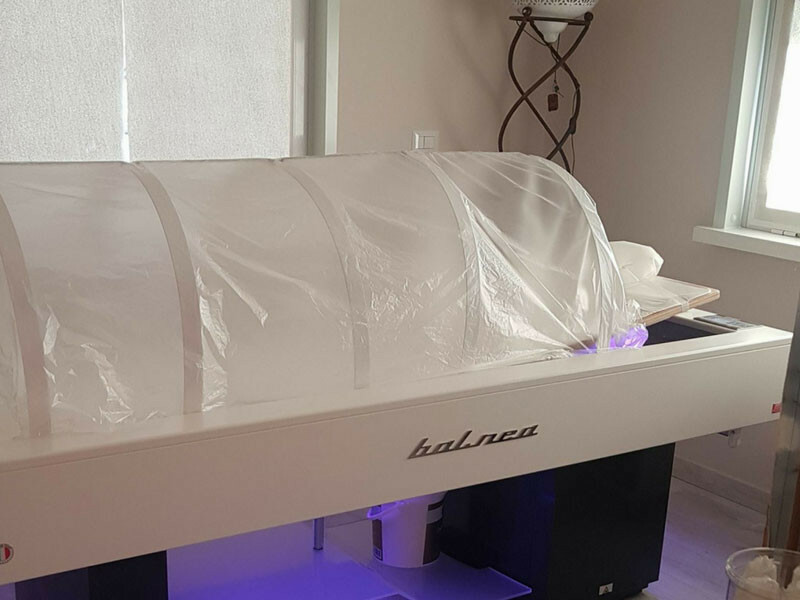 The scented steam bath of Balnea, assists the operator in the application of oils, sludge, algae and cosmetics optimizing the contact with the skin and their penetration. 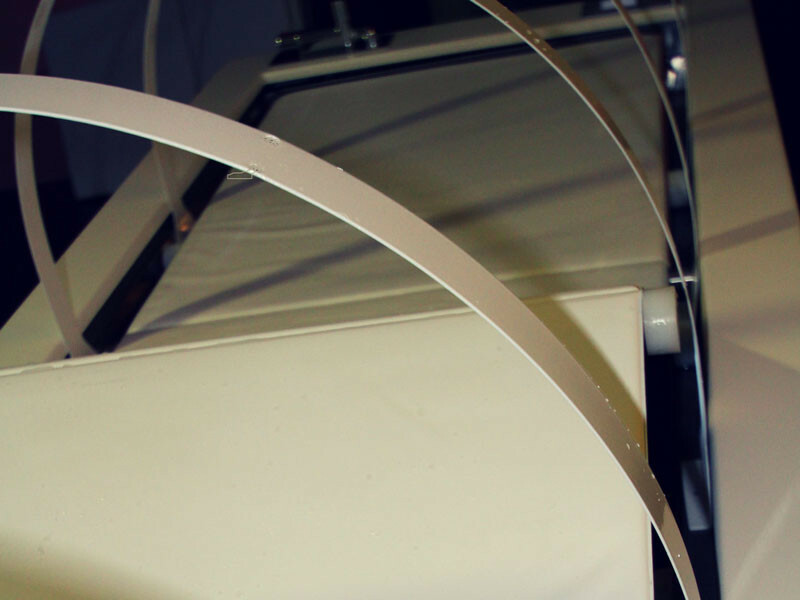 Through the use of 4 removable simple arches, Balnea is transformed in few seconds, in a thermal bed or a bed for massages. 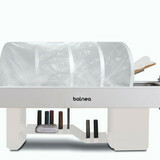 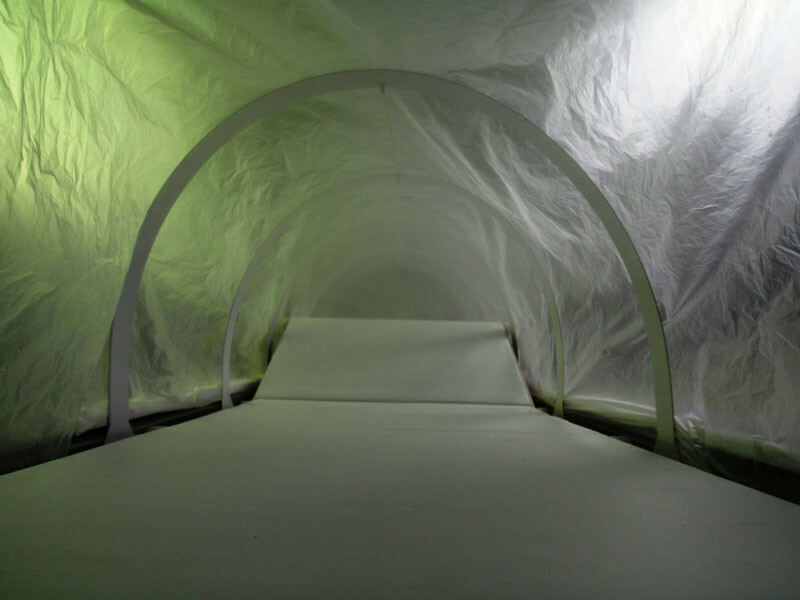 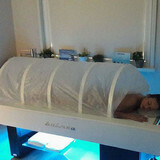 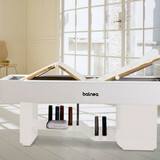 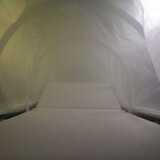 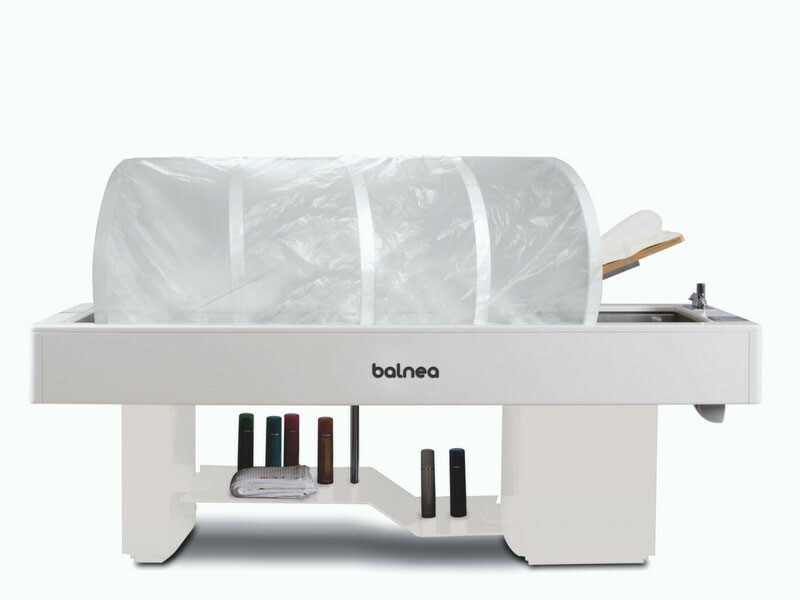 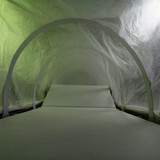 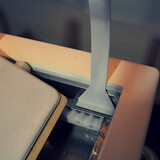 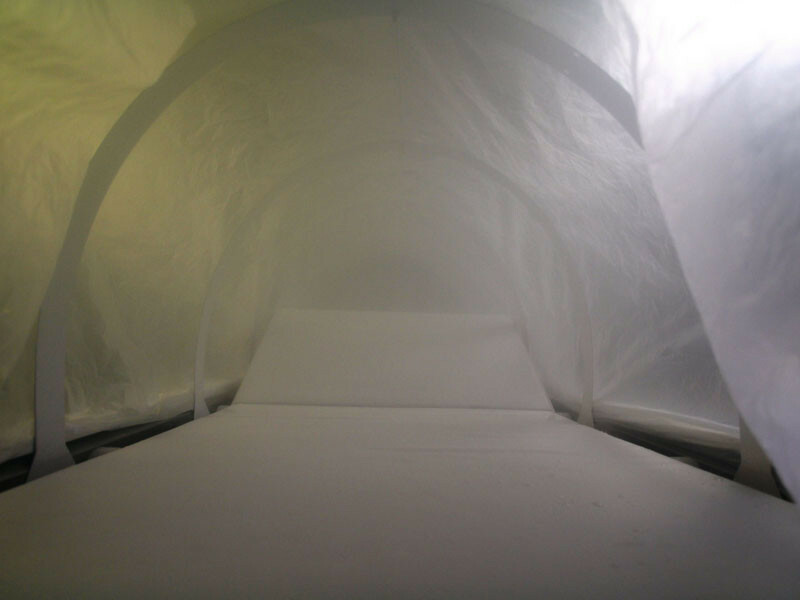 If used for massages Balnea can be equipped with a water-repellent mattress, or with a water mattress. 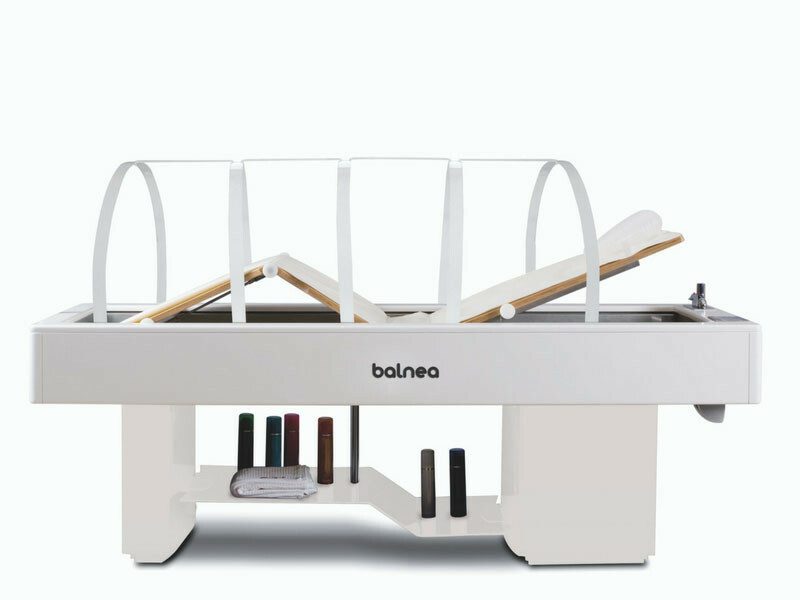 The client’s worktop, made of marine wood is electrically adjustable to easily change from a horizontal position to a lounger form. 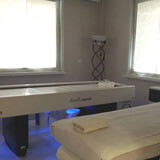 Each treatment can be customized with color and music cycles. 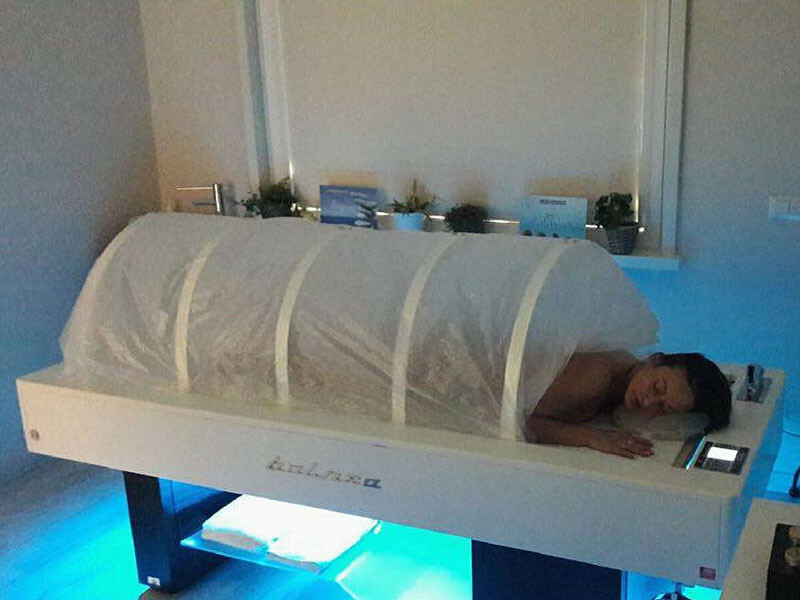 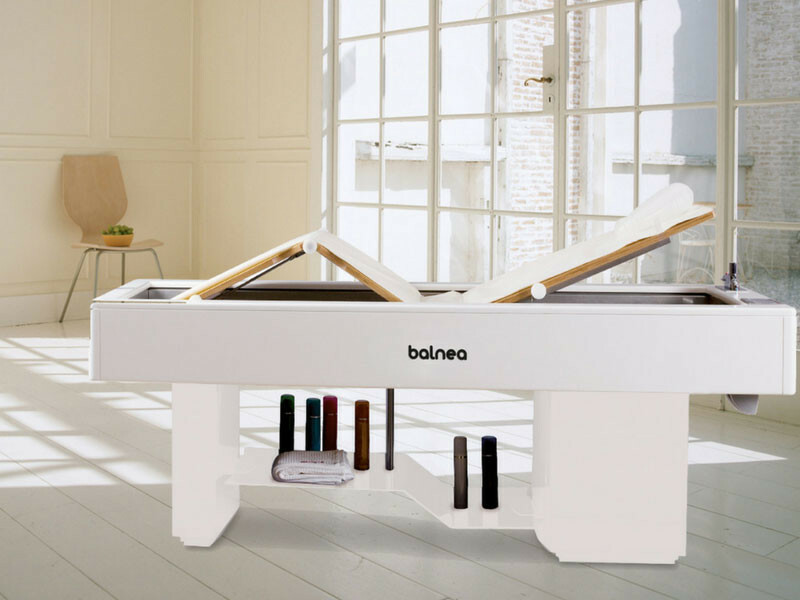 The thermal bed for massages Balnea features an optional electrical lifting system that allows the operator to work at the most comfortable height and permits clients to get on and off the bed with ease. 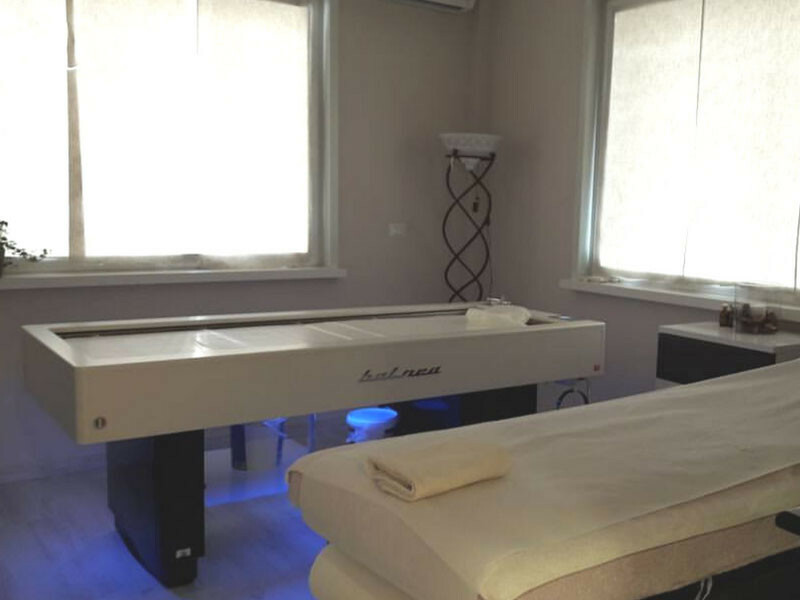 An important LED lighting system creates a pleasant play of lights from the top of the bed to the bottom and under the bed where an elegant tray shelf made of plexiglass serves as a storage shelf. 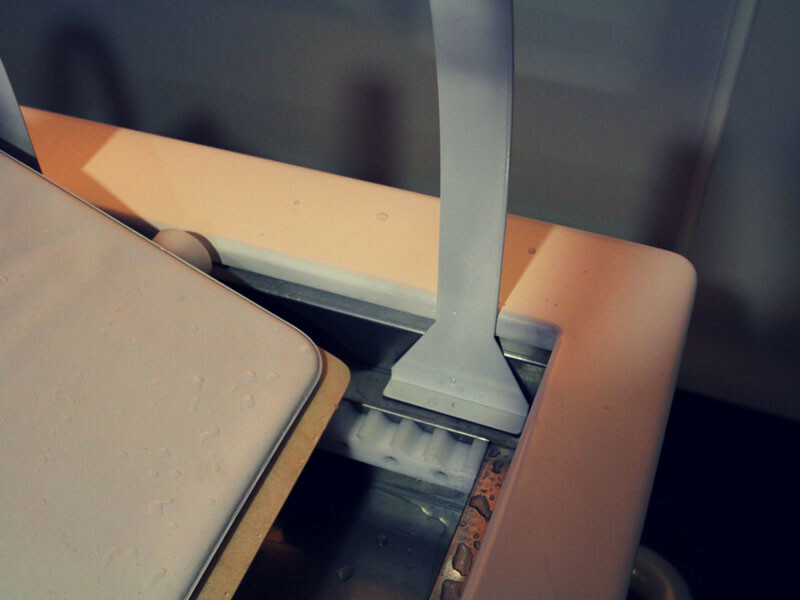 A thermo regulated tap mixer and a hand shower with recessed water tap, let the operator easily clean the worktops as well as rinsing the client’s body at the end of the session. 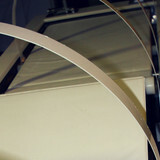 The collection tank is made of steel, easy to maintain and aseptic. Music and colors of Balnea can be connected to the other products and accesories of Isobenessere line to create a unique environment. 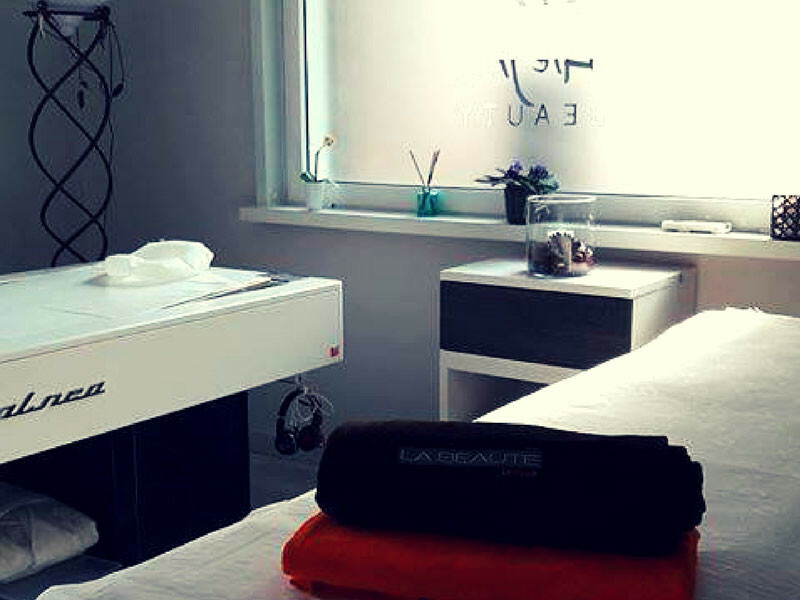 The thermal bed for scented massages Balnea, assists the operator in the application of oils, sludge, algae and cosmetics optimizing the contact with the skin and their penetration.